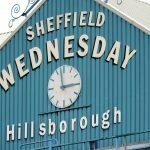 Sheffield Wednesday welcomed Birmingham City to Hillsborough as we opened the year of 2019 and caretaker manager Lee Bullen saw his 100% unbeaten record continue as we battled to another draw. 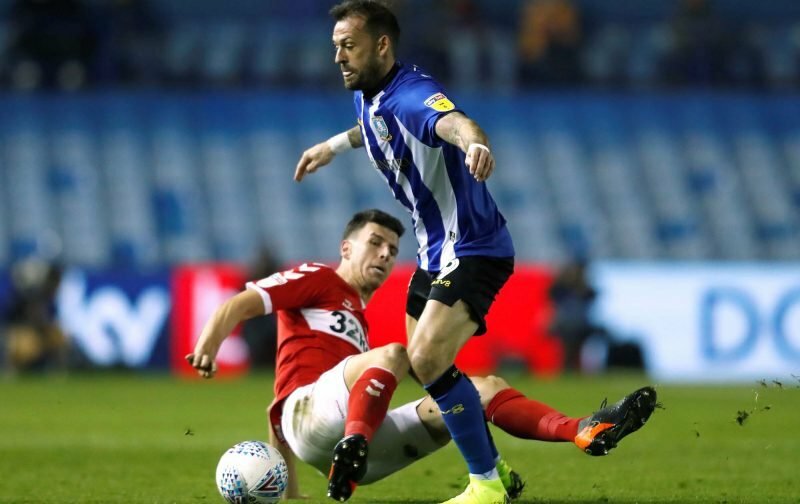 Steven Fletcher opened the scoring for us in the 18th minute but Birmingham hit back just after the restart and in many ways we were unfortunate not to make it three victories in four for Bullen as we utterly dominated the game with numerous chances, but they sadly levelled with their only shot on target. Statistics website Whoscored gave their star man rating to 31-year-old Fletcher as he had a pretty steady involvement in the game with 56 touches but he tested their goalkeeper with all three of his efforts on goal to land a score of 8.23. 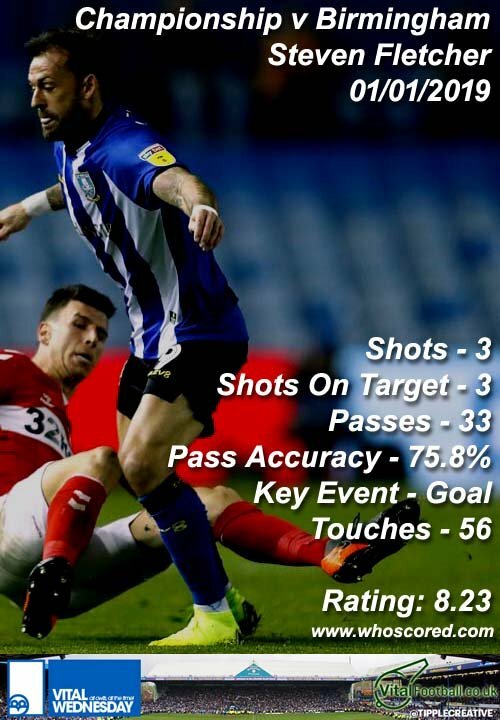 Tom Lees took second spot with a score of 8.09 with him getting the assist for our opener, and the top five best performers on the day were completed by Barry Bannan (7.80), Michael Hector (7.59) and Sam Hutchinson (7.27). Marco Matias also received a seven-plus score for his efforts on the day but again the players demonstrate they are fighting for Bullen.